Exclusive Dark Horse Comics digital comic book will provide fans with a unique look into the savage world in "Conan Exiles"
Funcom and Dark Horse Comics, Inc., are thrilled to announce that creative teams in both companies are now working on a new Conan Exiles digital comic book that will be made available in January. Conan Exiles is an open-world survival game set in the brutal lands of Conan the Barbarian. 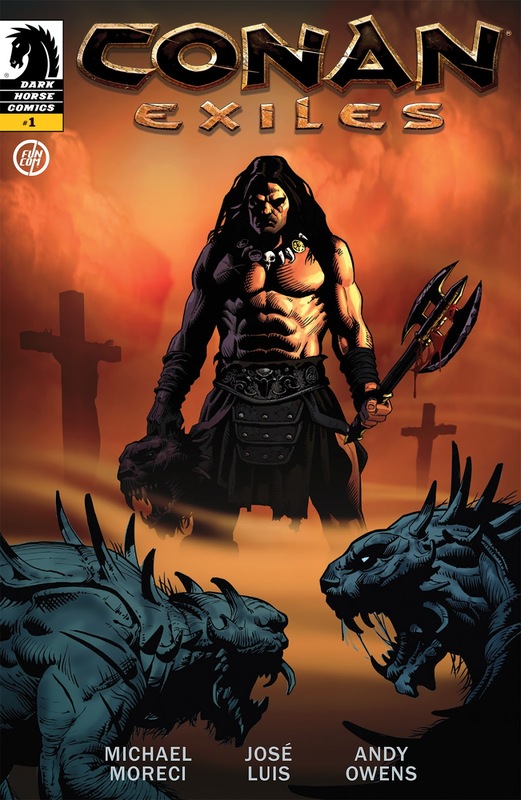 By reading the comic, fans will get a unique glimpse into the events that take place in the savage exiled lands. The creative team includes Michael Moreci (script), José Luis (pencils), and Andy Owens (inks), as well as Gavin Whelan (art director) and Anders Finér (senior concept artist) on the Funcom team. 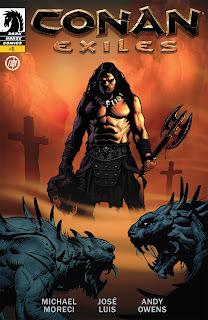 Funcom and Dark Horse previously worked together on the exclusive digital comic book for Funcom’s 2008 massive multiplayer game, Age of Conan: Hyborian Adventures. The comic book was distributed to gamers and Conan fans worldwide and was a key piece in the company’s marketing campaign for the 2008 best-selling game. Funcom is also excited to announce that the studio will do a live gameplay stream on Twitch.tv/Funcom this Friday, December 16. Creative director Joel Bylos and community manager Jens Erik Vaaler will show the unique thrall gameplay live for the first time. Players will be able to capture enemy bandits, drag them back to their camp, and crush their will in the Wheel of Pain. Players can then place the thralls as guards, archers, and even special blacksmiths, tanners, and other craftsmen to unlock unique new recipes. Conan Exiles is an open-world survival game set in the brutal lands of Conan the Barbarian, the world’s greatest fantasy hero. The game can be played on private and public servers, in either multiplayer or local single player. In the world of Conan Exiles, survival is more than tracking down food and water. Journey through a vast, seamless world filled with the ruins of ancient civilizations, uncovering its dark history and buried secrets as you seek to conquer and dominate the exiled lands. Start with nothing but your bare hands and forge the legacy of your clan, from simple tools and weapons to gigantic fortresses and entire cities. Enslave the bandits of the exiled lands to do your bidding by breaking them on the grueling Wheel of Pain. Sacrifice the beating hearts of your enemies on the blood-soiled altars of your deity to seize true power and glory. Summon the colossal avatar of your god and see it lay waste to your enemies and their homes. Conan Exiles will be released into Early Access on the PC on January 31, 2017, and will hit the Xbox One Game Preview Program in spring 2017. Learn more about Conan Exiles on ConanExiles.com. Visit Blog.ConanExiles.com for the latest news and developer updates.